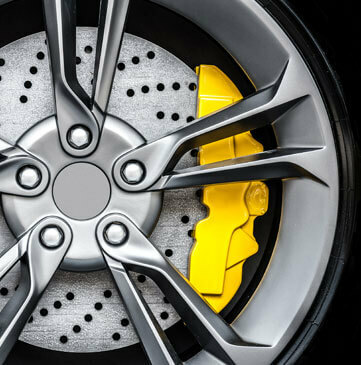 Your braking system is your vehicle’s most important safety component. If your vehicle’s brakes are not functioning properly, then nothing else really matters. Bring your vehicle to ShortVine Star Motors in Cincinnati, OH for a top-notch brake service using the industry’s most advanced tools and equipment. Our quality brake checks are good for any vehicle at any time. Drivers should always stay on top of their braking system’s condition. This means making sure your brakes are in good condition before any long road trip. If it’s been a long time since your last brake check service, now would be an excellent time to get an update. Customers adhere to our routine maintenance schedules but still listen for warning signs that their brakes need service attention. Noisy Brakes? Slow Brakes?–Come to ShortVine Star Motors! The earliest warning signs will be heard when you press the brake pedal. A high-pitched squealing noise is probably something we’ve all heard before; either from our vehicle or one that is near us. This means that the brakes need to be serviced as soon as possible. Your braking system was designed to make this noise when the brake pads have worn too low. You’ll still have plenty of time to get to ShortVine Star Motors for brake repairs, but this is definitely not the time to ignore your brake service. Brake repair needs can also be felt through the slight vibration or shudder in the steering wheel or brake pedal. Sometimes this early alert will go unnoticed if the window is up and car stereo is loud. Behind the wheel, you may not notice but everyone else will hear you coming from a mile away. Without service attention, your brakes will eventually start making a metal-to-metal scraping noise. Get your vehicle’s brakes in proper condition. If you hear a scraping or grinding noise when you press your brake pedal, this is an emergency! Give us a call as soon as possible at 513-961-2409. Continuing to drive your vehicle in this condition will do irreparable damage to your braking system. Just like with any auto repair, timing is everything. Get to us early enough and we’ll quickly restore your vehicle’s brakes to their original condition. Our team of brake repair experts can enhance your vehicle’s overall safety and handling. Take tight corners and stop on a dime whenever necessary. Save some time by using our convenient online scheduling system. Next time you’re in the area of 2924 Vine Street, stop on by for a brake check service or repair. We gladly accept all of our walk-ins!